If you are trying to feed yourself or your family, you know that the best, and most healthiest way, is to cook at home, avoiding take-out and pre-packaged processed meals. People think that eating at home can cost a lot. 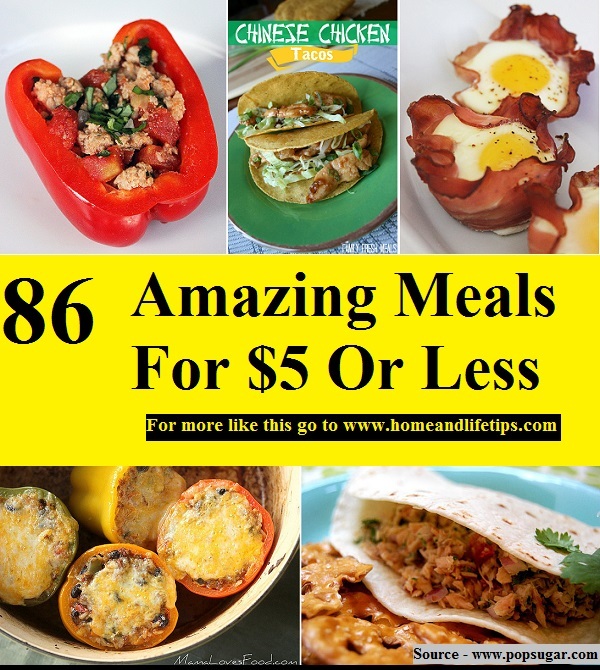 But with these meals, you can create delicious food that everyone will like for under $5. Thanks to popsugar.com for putting together these amazing meals, along with their recipes. Follow the link below to learn more.